Baby Teeth is a good Bad Seed thriller. Hanna doesn’t speak but has an abundance of thoughts. Hanna loves her Daddy but hates her Mommy. Hanna is evil. Hanna is four. Hanna has some mental health issues but feels if she can get rid of her Mommy, she would have Daddy all to herself. However, Mommy appears to have some mental health issues of her own. The reader has to suspend their disbelief that a four-year-old could think this “rationally” and plan complex schemes to punish people. In the original Bad Seed, the child was nine, which seems more reasonable. However, once past that hurdle, the reader is in for a crazy fun ride. 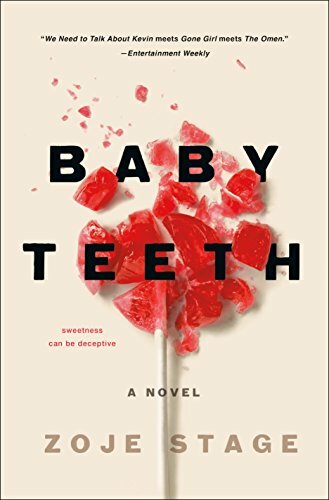 Baby Teeth is highly recommended for those wanting to read a character-based thriller with an unusual protagonist. It is an intense journey into a demented and unusual worldview. 4 stars!